While flicking through my pictures of the Mid-West, I came across the bright colours you see here on a very dull day. 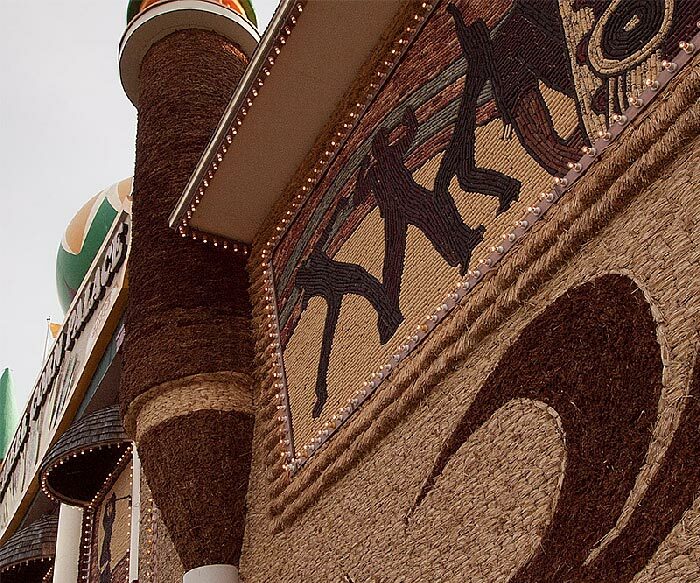 In Mitchell, South Dakota, there is a palace built of corn cobs. 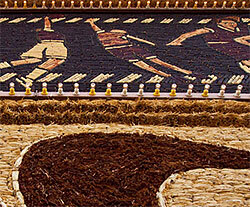 A large temple with ornate freizes done in coloured cobs of corn, a sort of Parthenon of the Plains. It's a perfect analogy for Oxfordian ideas on the chronology of the plays. Their attempts to create a consistent, overall chronology seem like those of architects and builders trying to construct a cathedral out of Weetabix. However magnificent the structure looks on a sunny Oxfordian day, one good shower will turn the whole lot into mush. Even if you succeed (and they certainly haven't) in unhooking The Tempest from its moorings in 1610-1611, you still haven't done anything about the almost unshakeable fastenings of Macbeth to 1606, the political super-glue that attaches Coriolanus to 1607 or the timelines and act divisions of Cymbeline and The Winter's Tale that tie them to the Blackfriars Theatre. Even if you can build a wall between the Strachey letter and the Bard, there were survivors rolling around the alehouses with tales to tell along with at least two other published accounts of the Sea Venture's mishaps. The fate of Jamestown was as newsworthy to Jacobeans as Scott's Antarctic Expedition was to Edwardians or the Interntional Space Station is today. The collaborations with Fletcher would be impossible before he turns up on the scene in 1607. The introduction of Masques, the Romantic genre that fits the Late Plays, the dramatic changes in the language, plays which start not with a Prologue, not at the start but right in the middle of a Tempest are all impossible to place in the Elizabethan theatre. Each of these is a solid downpour, enough individually to turn The Weetabix Cathedral into porridge. Taken together, they clear the plain completely.